Traveling can be tricky and filled with questions. Let us help! Here is a list of local airports, Amtrak stations, car rentals and more. Enjoy the breathtaking views of Flathead Lake and our multiple mountain ranges as you fly in for your Montana adventure. Located just 12 miles from Whitefish you can access 4 different major airlines at this airport. They also offer several car rental services right in the airport as we as shuttle/taxi services. Looking for a ride to downtown? Need a lift from the airport to your vacation home? We recommend Arrow Shuttle & Taxi. Enjoy the freedom of driving around Whitefish to Glacier National Park. Give Dollar Rent A Car a call for friendly service and great rates! There is nothing more classic then cruising the countryside with the click-clack of the rails underneath. Our historic Amtrak station is located in the heart of downtown Whitefish. 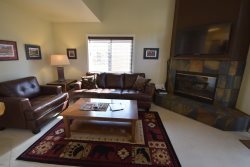 Located about 10 minutes to Whitefish Mountain Ski Resort and just 2 miles to our Mountain Harbor properties. Car rental and taxi service is also available from the train station making getting to your vacation home easy and fast.